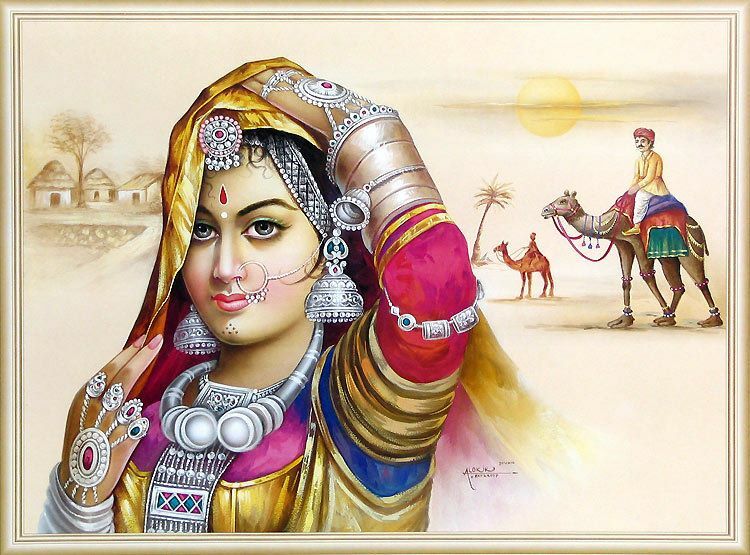 The poster featured here shows a lovely banjara woman, decked in all her traditional finery. The beautiful lady covers her head with her ghunghat (veil) to shield herself from the blazing desert sun. Her silver jewelry catches the light of the sun and glistens brilliantly. The stark desert is shown in the background, an oasis looming in the horizon. Two men riding their camels further add to the sheer rustic beauty of the picture.